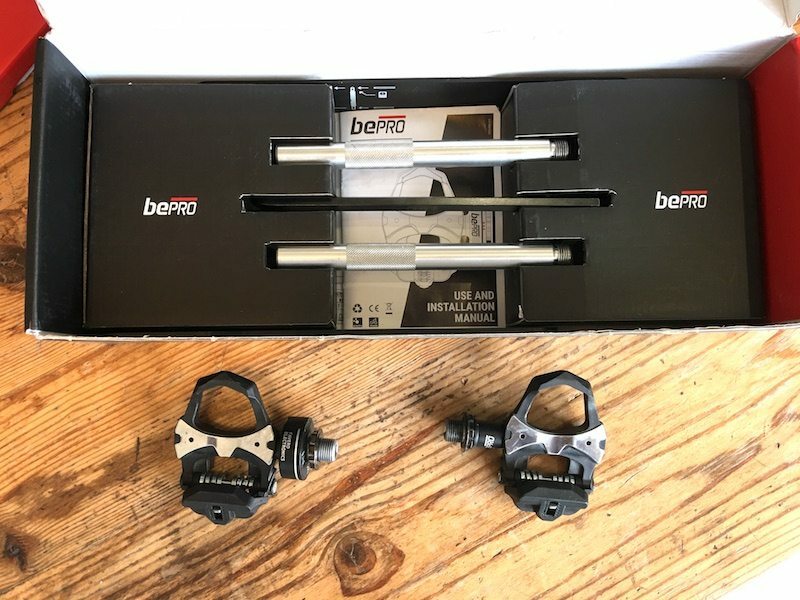 It is not often that you get new players coming in the power meter market, and pretty much getting it right straight out of the gate, but Favero, an electronics giant in Italy happens to have managed that with the BePro pedals. 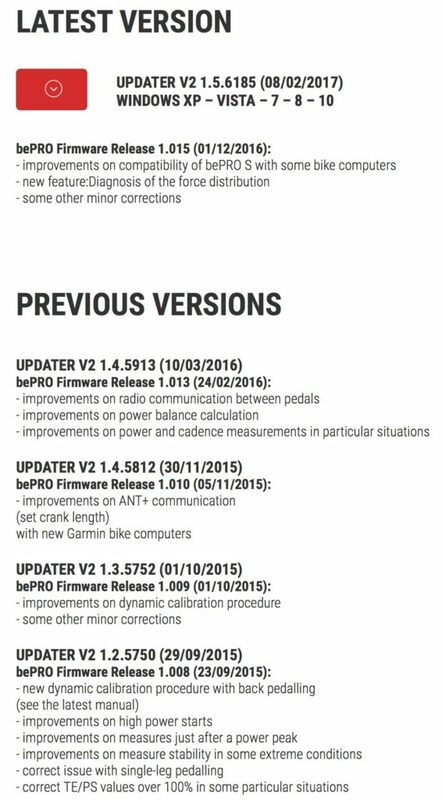 Given these are a relatively inexpensive power meter pedal, sounds like we need a Zwift Gear Test!! 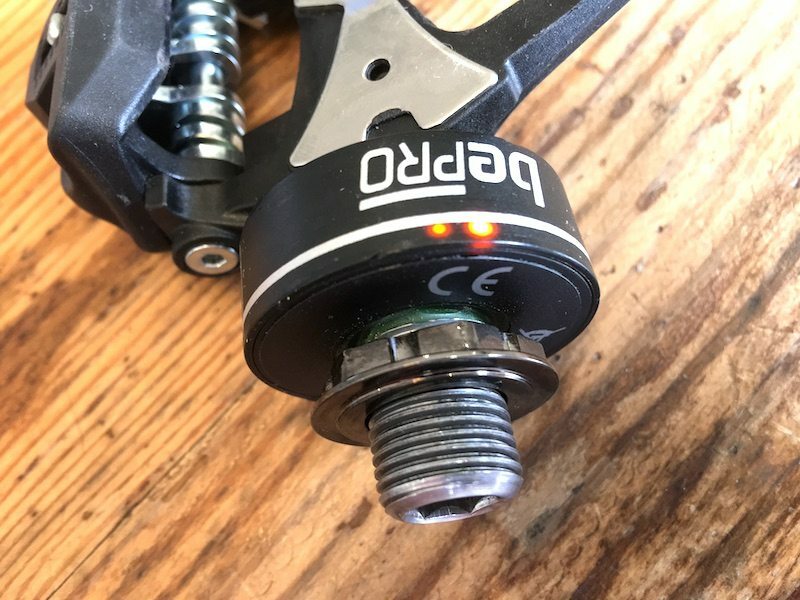 There are realistically three “good” places to put a power meter, on the pedal, in the crank, on the wheel hub. One each location has advantages and disadvantages. 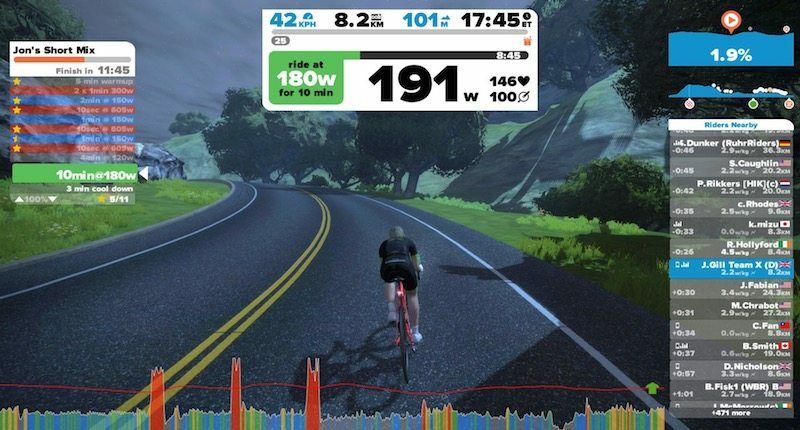 For Zwifting, where you are not putting the power down on the road, but in virtual ones and zeros, I think it makes sense to try and measure the power as close to the biological component (that would be you!). 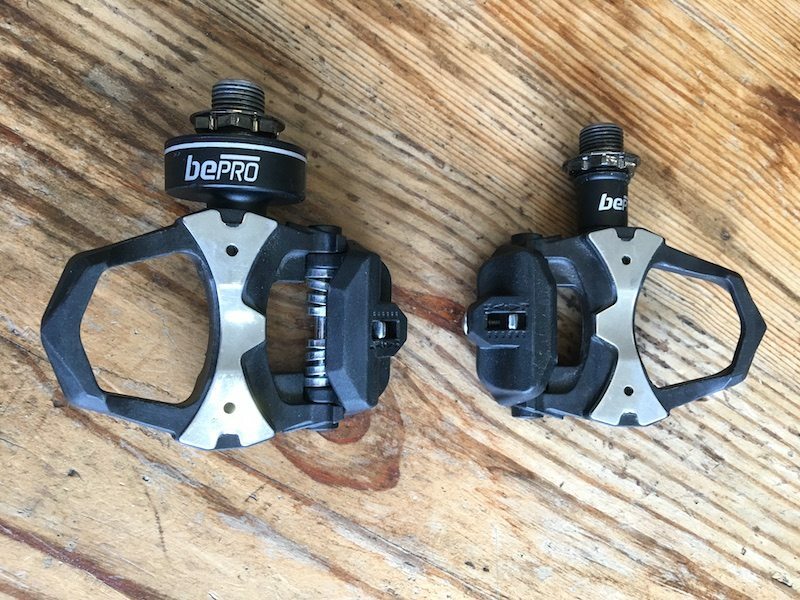 The bePRO pedals are not new to the market, but when they arrived on the market, there was a slight struggle for brand recognition. Garmin, PowerTap and Polar, all with pedal power meters, had the immediate brand history either power meters or cycling generally in the case of Garmin. There is a reason for the box shape in this case though, the inclusion of some comparatively heavy-duty calibration kit! In the box, we’ve the two pedals certainly, but also a series of other bits and bobs that are needed for the installation. 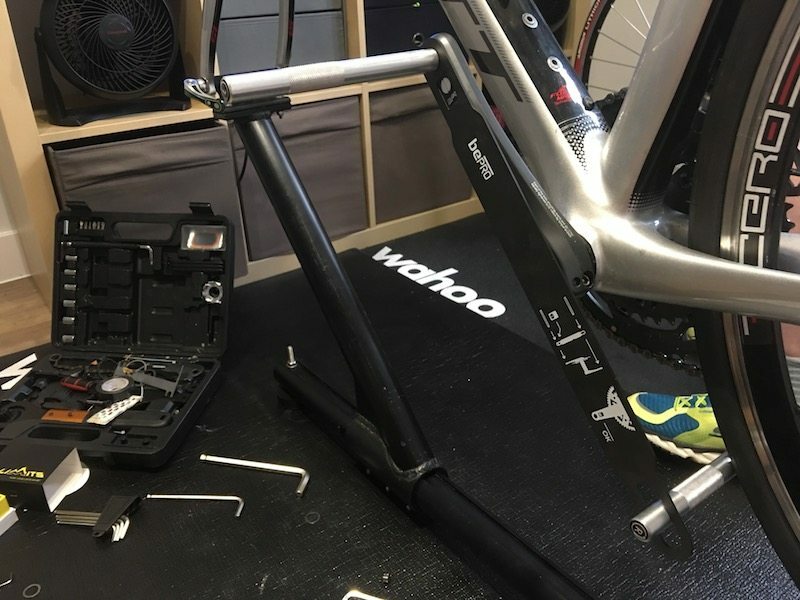 Specifically a long alignment tool, hex wrench, pedal wrench, two pedal alignment tools, and four pedal alignment stickers (we’ll look at those shortly), two cleats, power back, oh and the manual – but one you’ll probably actually need this time! 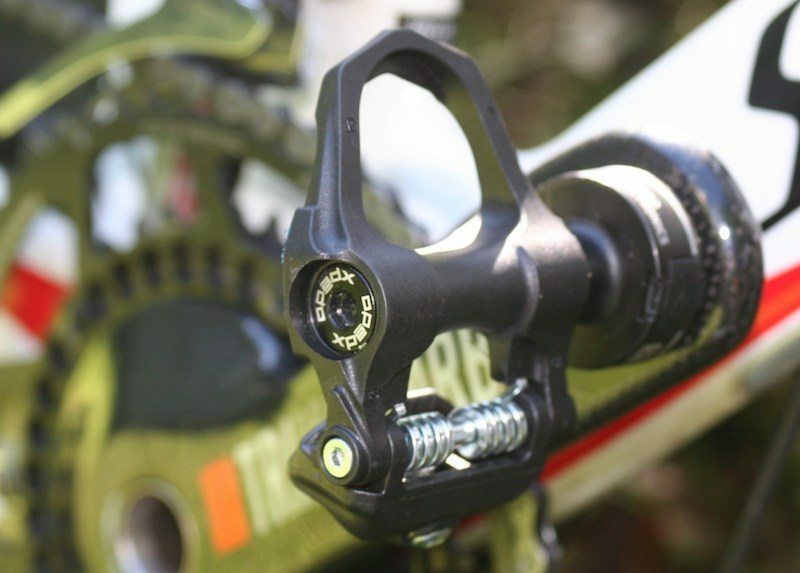 The pedal, shown here in single-sided form, and uses a cleat compatible with the Look KEO pedal system. 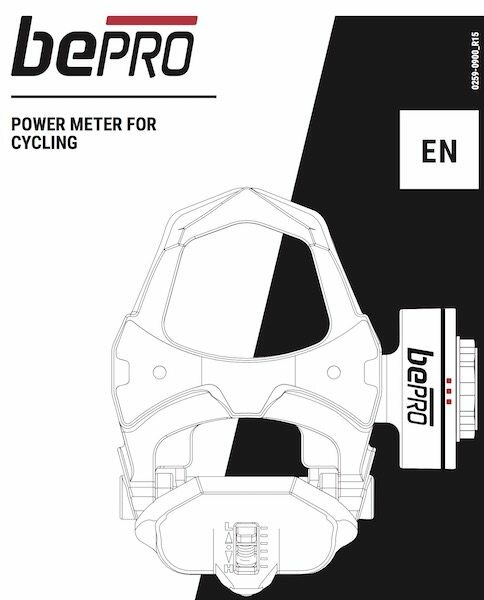 Genuinely I wonder what decision it was made Garmin and bePRO opt for Look rather than Shimano? Maximum weight of the cyclist: 120kg (265 lbs). 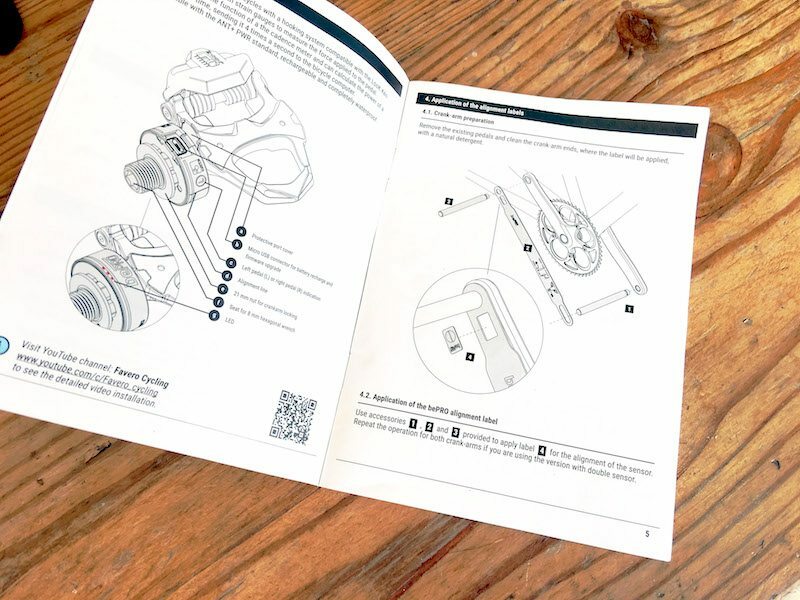 The bePRO pedal manual is one of these documents that it does behove you to read. There are several points to the installation and calibration you simply would not be able to work out alone. To say that the installation of the pedals is difficult would likely be unfair. However as mentioned, the manual does highlight all the slightly complicated steps required. The actually first step of the pedal install it not to do with the pedal directly but is to install two stickers to allow the pedals to be correctly positioned on the cranks. 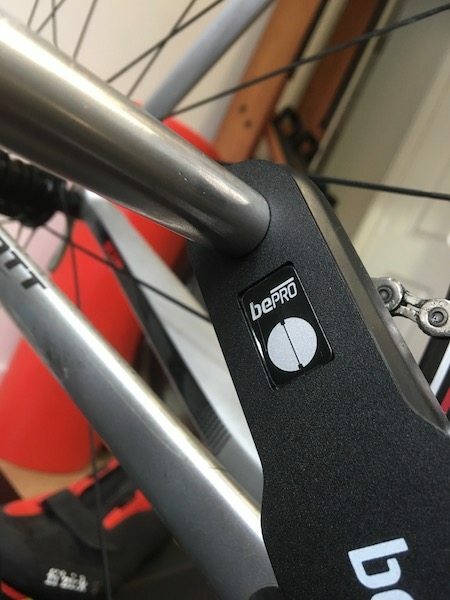 BePRO sends sufficient labels to fit a dual sided setup on two bikes, highlighting once the setup is complete how easy it is to change between bikes. Apply the second metal rod to the INSIDE of the drive side, after slotting the alignment tool onto the free end. It is easier to slide the rod through the alignment tool opening first. 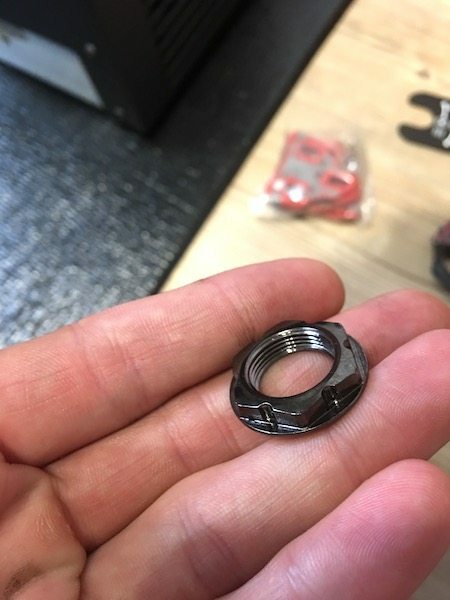 With both sides secure, on the side you are installing the pedal, there is a rectangular hole in the alignment tool. Into this, you carefully place a sticker. This should only go on with finger tightness. This is for me one of the wrinkles of this approach, Favero but a large section in the manual, about NOT over tightening this nut here, as it will damage the pedal and warranty will BE VOID. Personally, I’m inclined to suggest this kind of warning means that the unit could have done with a little longer in development, and different approach, with less chance of the user chewing up their pedals! 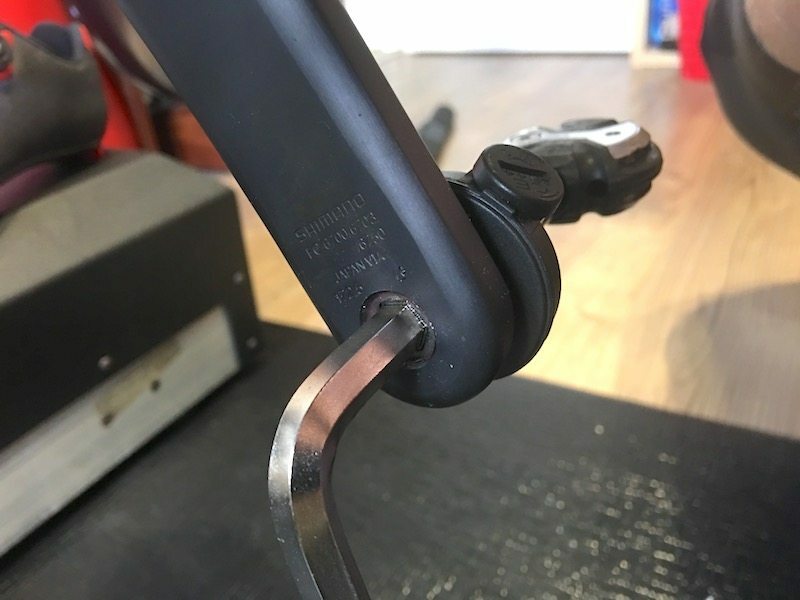 Carefully and gently install the pedal, again with finger tightness until the position marker on the pedal aligns with the sticker you installed moments ago. Then the hex tool and the pedal wrench come into play. Pull in the direction of the arrows, tightening the lock but, while keeping the lines in position and BOOM; you are done! 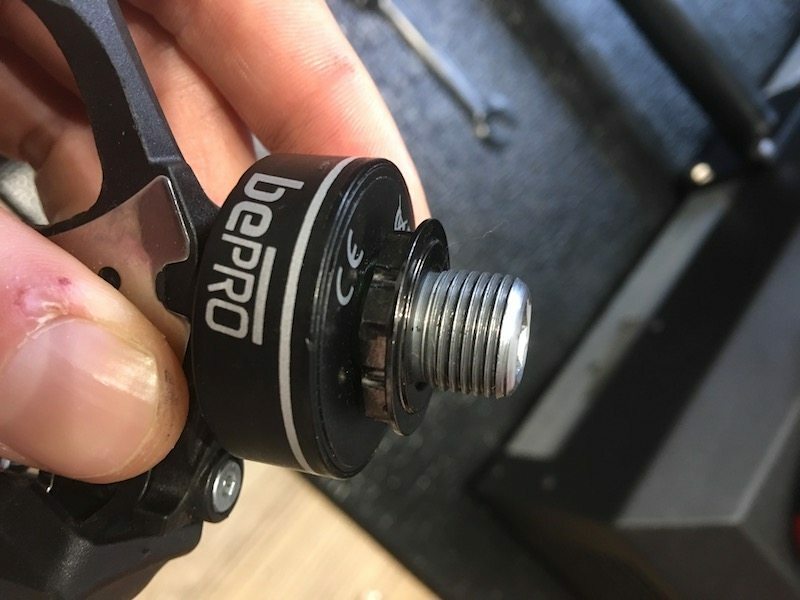 There is no user replaceable battery on the bePRO pedals. Instead, there is a tiny flap, that reveals as micro USB charging port. I’m quite pro this as a concept! 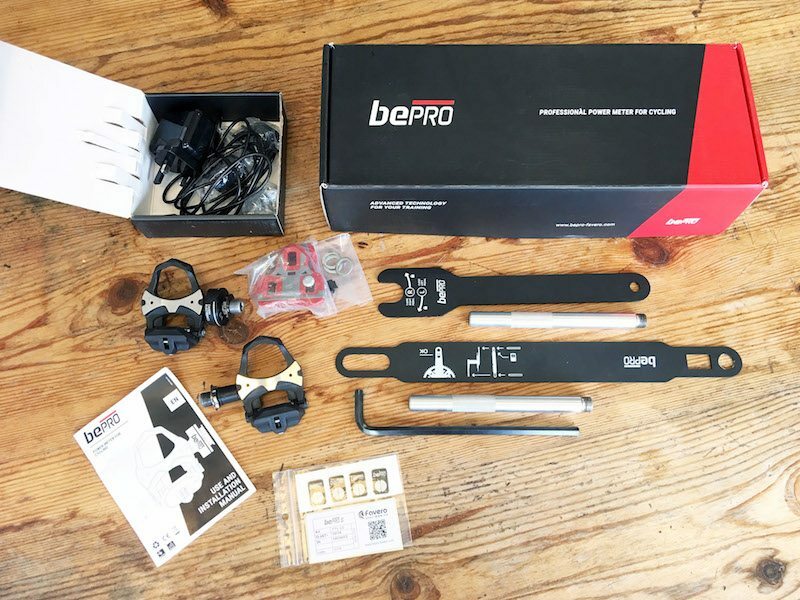 bePro has covered themselves against the fact that pedals, probably more than anything other than the tyres are going to take a bit of a beating when you are riding. 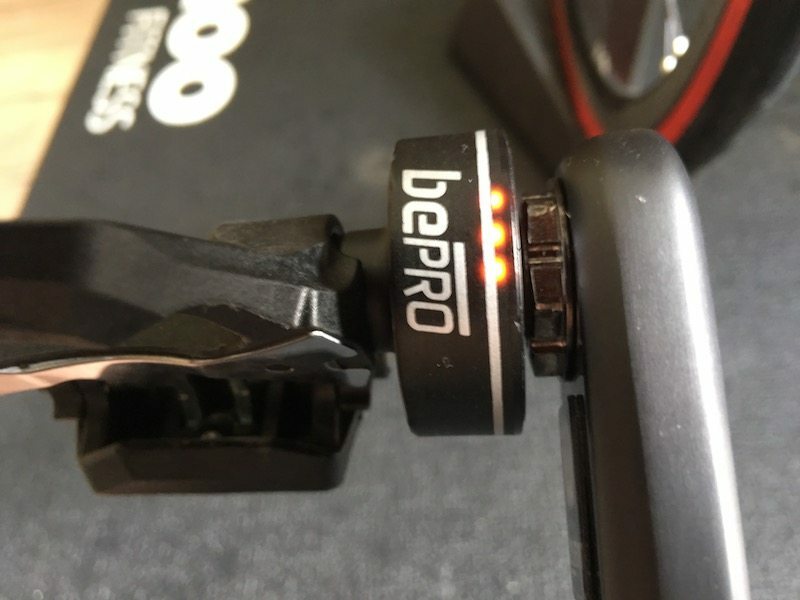 Constant clipping in and out, combine this with that fact it is not impossible to conceive of the little charging door being knocked, bePRO has also included a spare charging flap, but just in case it does come off. I’m pleased to say though that even quick forgetting to close the door after charging, and knocking it with my cycling shoes, I’ve not managed to break the door off! Now that may cause a modicum of concern from some, who might worry that the batteries will degrade over time. Although that is realistically no different than on your £500 smart watch, which is also going to be a sealed unit. 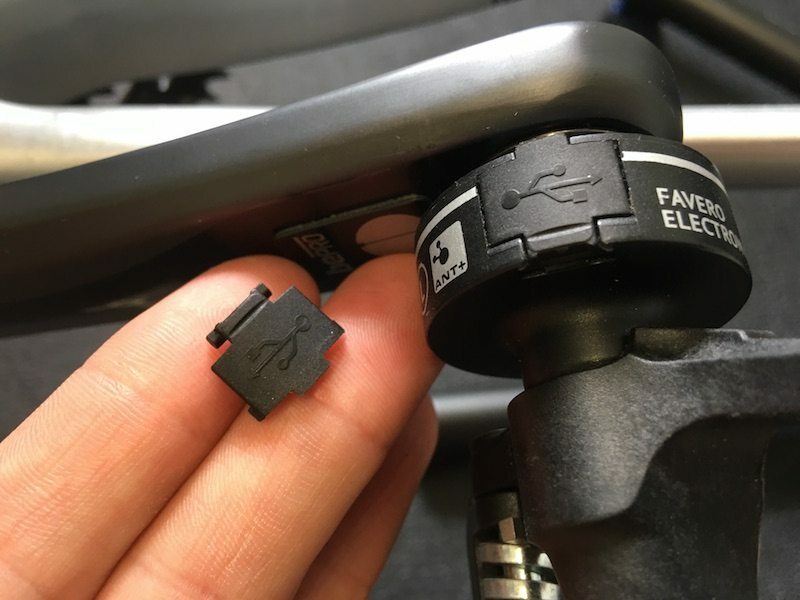 Personally I find it much easier just to plug my bike in every so often than faff swapping coin cells sa seemed to happen annoyingly regularly with the Garmin Vectors – heck, I’m already doing that with my Di2 gears. Again with the communication only over ANT+, you have to directly plug the pedals into you PC in order to do the updates, but at least you are also getting a top-up charge at the same time. 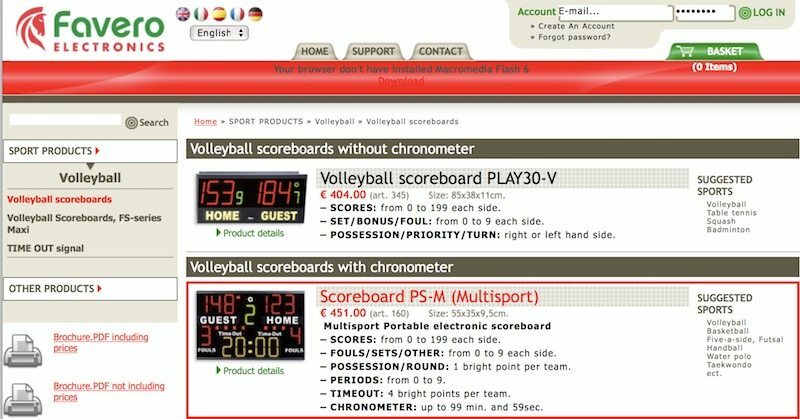 Before each ride, Favero advises that you calibrate, which is simple enough from a Garmin head unit. But is it also worthwhile doing the dynamic calibration! Not a difficult proceedure, but does require more than the press of a button on your head unit. 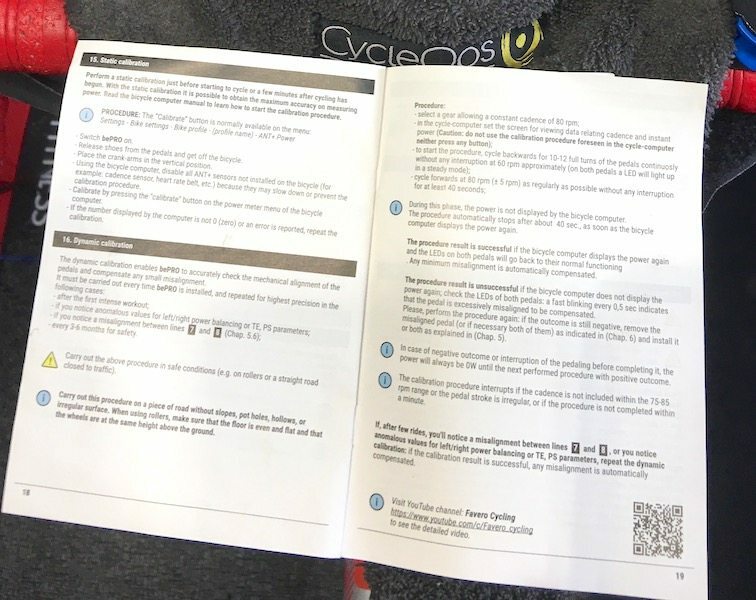 In fact two pages of the manual! If I am completely honest, the hardest part of the dynamic calibration is seeing the lights on the pedals to confirm that the mode has been selected after you have pedalled backwards about ten times. Then you’ll forward pedal at about 80RPM, watching on your head unit… as nothing is displayed regarding power… until about 40 secs, at which point the unit is calibrated, and should give you reliable power data. 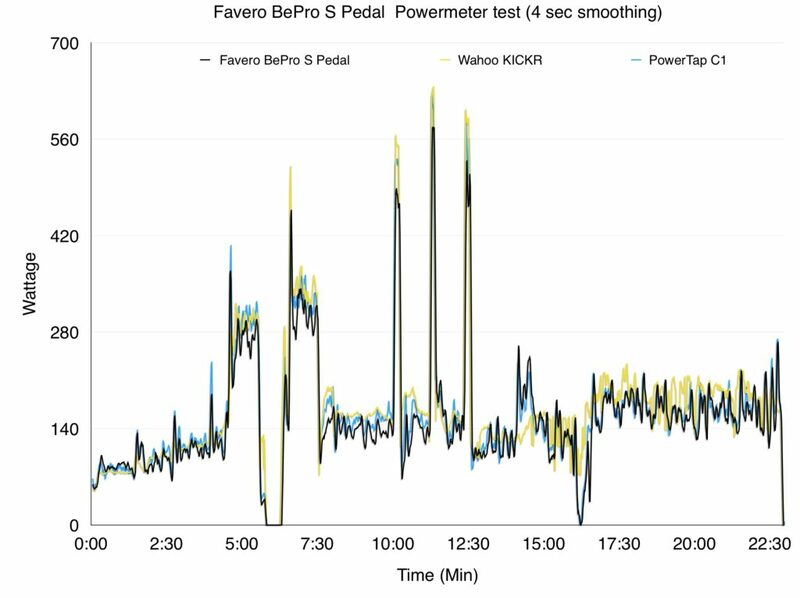 However after multiple calibration attempts the bePRO pedals do consistently read about 3% lower compared to the Wahoo KICKR and the PowerTap C1 chain ring – this tends to be narrower on steady-state efforts, but I am noticing more of a drop off on the peaks. 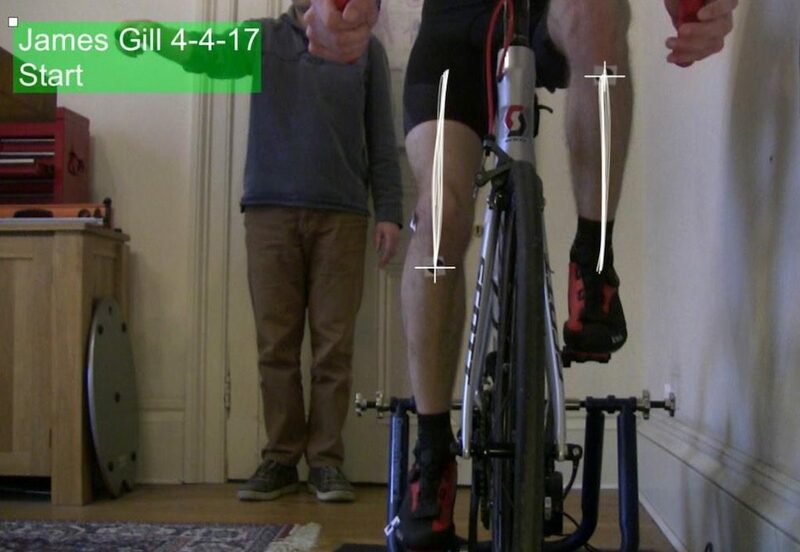 Having had an up to date bike fit recently to try and address a niggle in my RIGHT knee, in spite of that knee having the issue, I also appear to be deploying more power on that leg, which may go someway to explaining the difference in the readings. 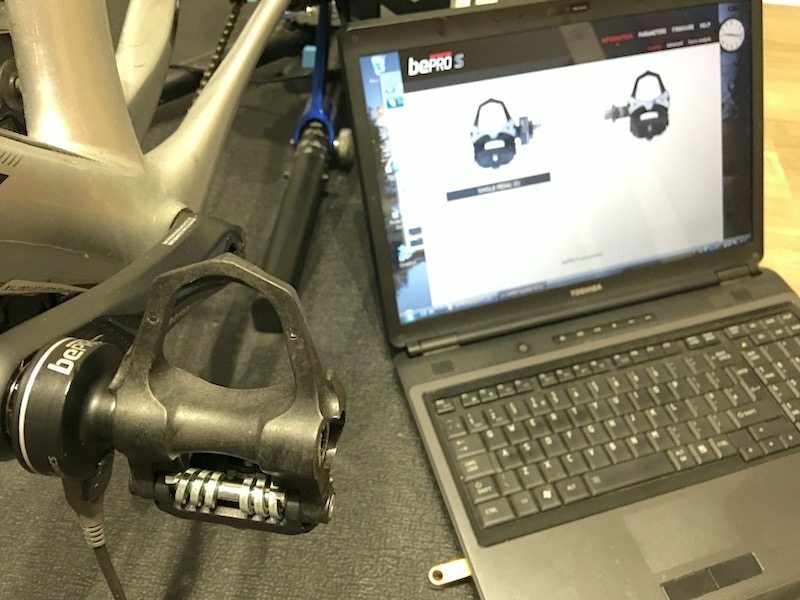 Knowing from the bike fit the variation in power between my legs, it is a simple matter of adjusting the power meter readings up on the bePRO pedal in the firmware to compensate for the deficiency in the LEFT leg and get an accurate reading. 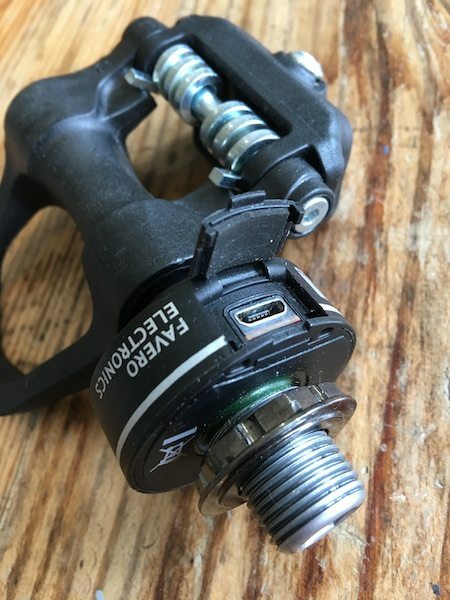 This is perhaps a good point to discuss use cases – whether a dual-sided power meter, or single sided is best for yourself. I think that, personally, if you are serious about training with power, or are not very confident that you have equal power in both legs, I would look at a dual-sided system. I think another point relates to injury. 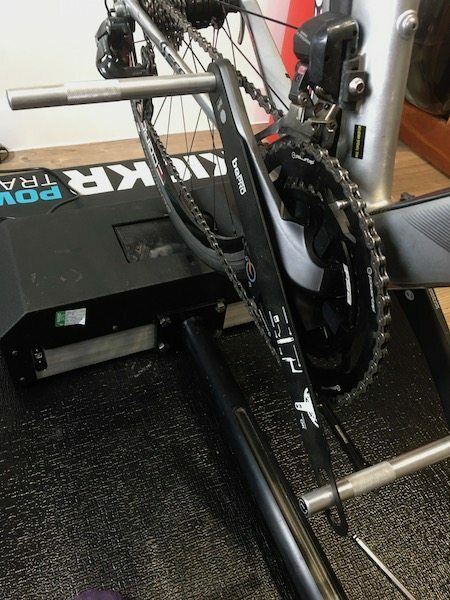 A one-sided meter may result in you under recording without knowing, but conversely, a dual-sided system can allow you to balance your training, and rehab, adjusting load, and hopefully improving recovery. 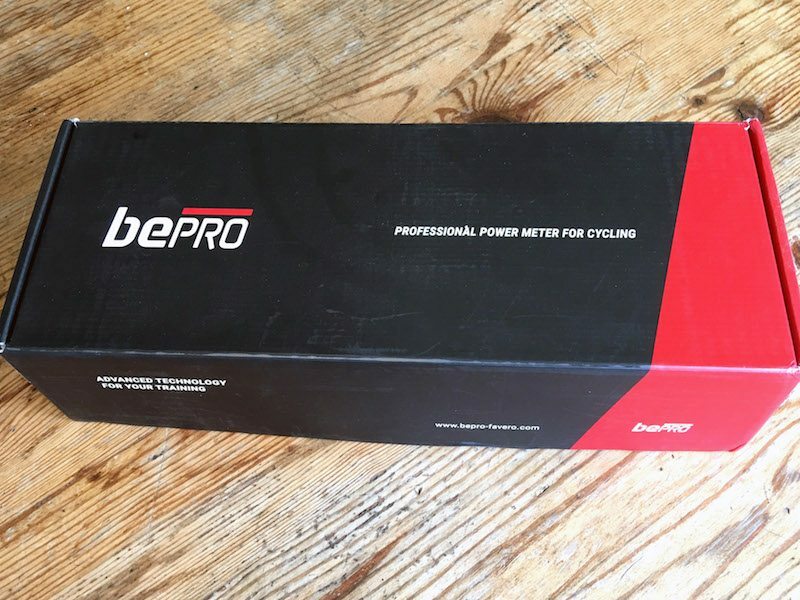 For a straight out of the gate, first-time power meter, from a non cycling company, the bePRO power meter is a surprisingly good value power meter, and accurate to boot. I think part of the value comes in that you can easily drop £100 on pedals for your bike without blinking. 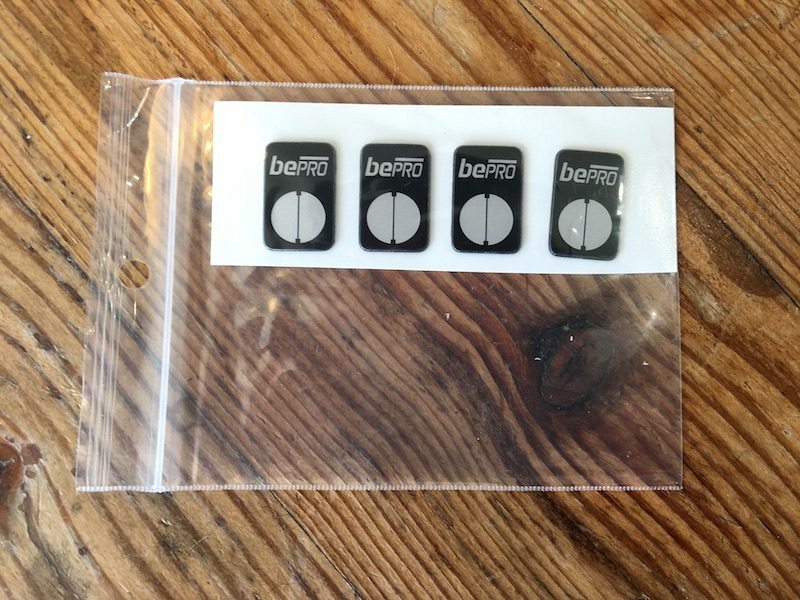 In addition, you are able to recharge the bePRO units! 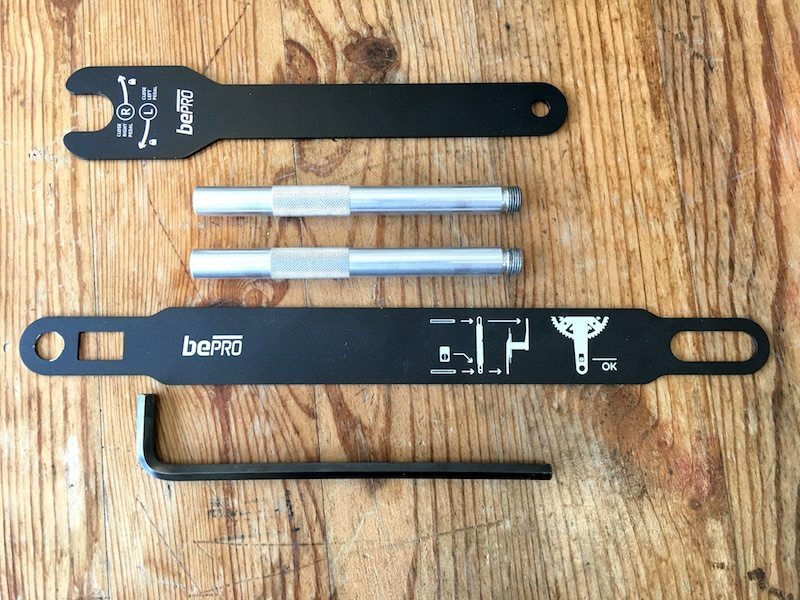 Yes, the bePRO system is not the easiest to install – but in some ways, I think going through all of the alignment steps actually increases the end user confidence, more than just screw the pedal on and believe all is good! 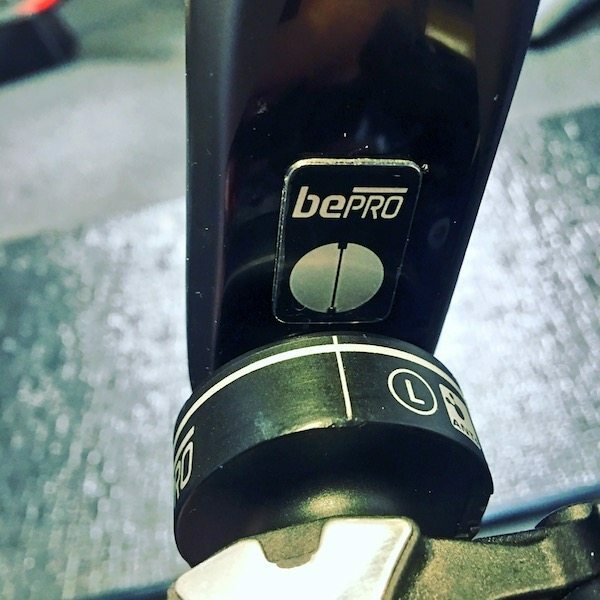 Overall the bePRO system is good value, are accurate on my legs, and seems reliable over the few months I have been testing this power meter. 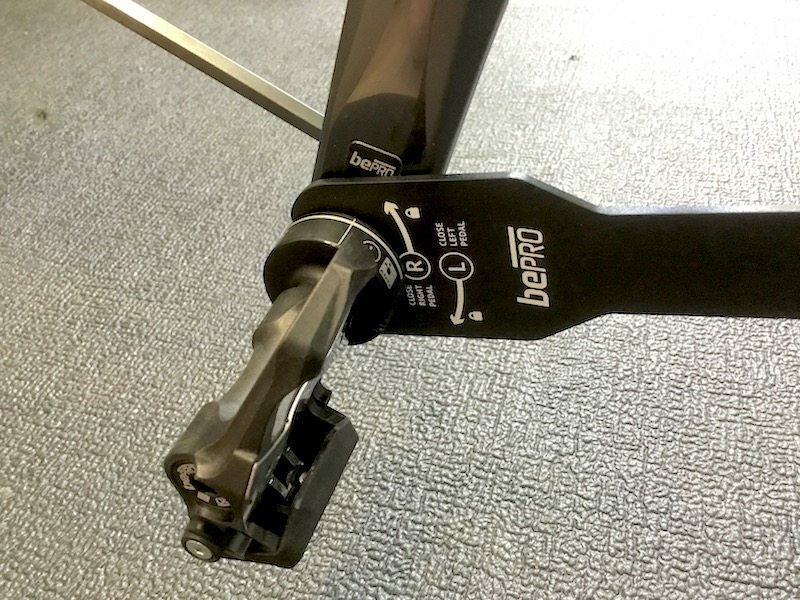 As mentioned, there is a big financial choice to be made between the dual sided, or single sided pedals. 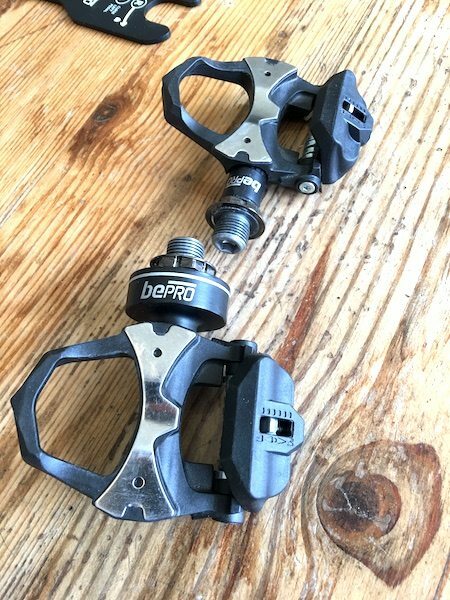 If you are wedded to your pedals (you can take my Speedplays from my cold, dead corpse) then any pedal option is not going to be for you, however, if you are happy with the bePRO pedals, than whilst the brand might not have the recognition of the Garmin Vector 2’s, you’ll be better off in your wallet, and just as accurate. Plus no faffing with the Vector battery pods!